If you are in need of transcription services, you have many options. Numerous companies around the globe offer comprehensive transcription services in a number of different forms. As you look for a provider, it can be difficult to find one that fits your specific needs with respect to turnaround time, accuracy, and cost. That's why it is essential to know all attributes of a good transcription service and how can you find the one that best fits your needs perfectly. 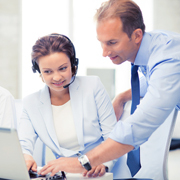 There are six factors to consider when evaluating transcription service providers. It's important to judge how your transcription provider matches up to each of the following criteria before you finalize the outsourcing decision for your project. It is vital that your transcriptions are of the highest possible quality, fully proof-read and error-free before they reach you. To ensure this, ask for a sample so you can accurately gauge the quality before committing to a provider. Make sure you understand what the standard transcription rate is for your industry and compare prices for several different service providers. You can request quotes from vendors in advance, and should compare at least 2-3 different vendors to ensure you have a good sense of what it will cost. Make sure you find a good balance of quality and pricing, without any compromise to reduce costs. While you may not need a large volume of transcription right away, make sure the company with which you engage is capable of scaling if needed. They should have enough resources in-house to handle larger volumes when required, reducing the risk of low quality transcriptions at the same time. You should also verify the specific skills of these team members as relate to English language skills, listening and typing skills, etc. This can be verified with credential requests as well as a sample project. To avoid spending more time than you would like managing resources, ensure the team you hire has in-house project management. Clients should have a single point of contact instead of dealing with each transcriber on their project. While it's nice to hear that your transcription will be done very quickly, make sure the service provider is providing realistic estimates. Too good to be true estimates will either be missed or result in lower quality work from many providers. A good transcription provider will brief its clients on the turnaround time and pricing based on factors influencing the transcription process. Finally, it is very important to ensure that the security of your transcriptions and recordings is maintained at all times. You want to know that your data will be secured with file transfer protocols throughout work, for project delivery, and for future storage. This should include a confidentiality agreement with the provider to protect your data. It is difficult to find a company that meets the benchmark for all the above criteria. For this reason, you may consider outsourcing you transcription needs to a select provider that can meet them efficiently, regardless of location. By outsourcing, you can receive high quality services at affordable rates, reduce in-house costs to a large extent by not needing to hire internal resources, and being able to scale your operations as needed with the help of an active team. This allows you to focus primarily on your organization's core activities instead of smaller tasks like transcription. It also reduces the need to manage a pool of freelancers or consultants with variable levels of quality and communication. A single point of contact with a trusted company ensures you get all of the transcriptions you need delivered on time and to your benchmarks. When choosing a provider for your outsourced transcription needs, there are a lot of factors you must consider. If you follow the guidelines mentioned in the article while outsourcing your transcription services, you can ensure you receive the best possible services for your needs. At Outsource2india, we have a team of highly capable transcribers who can provide accurate and error free transcription services. Contact us today to learn more about our transcription services.